This is a series on some of the medication that I’ve collated from parents who shared in forums. My baby with eczema hadn’t been prescribed these, but my usual investigative self got interested after reading mixed feedback on these medicines. Do share in the comments your child’s experience, and the effect on his/her eczema. Methotrexate is an antimetabolite which slows down the metabolism of new cells (for instance prescribed to reduce growth of cancer cells). It works via inhibiting dihydrofolate reductase (DHFRase), an enzyme involved in the synthesis of DNA, RNA. It may be prescribed for advanced stages of cancer, severe active rheumatoid arthritis and certain types of cancers. It is also used to treat skin conditions – severe psoriasis, whereby methotrexate decreases the formation of skin cells to prevent the formation of scales. It may also be prescribed for those with severe eczema whose treatment using cyclosporine or corticosteroids are discontinued, as methotrexate has anti-inflammatory properties. 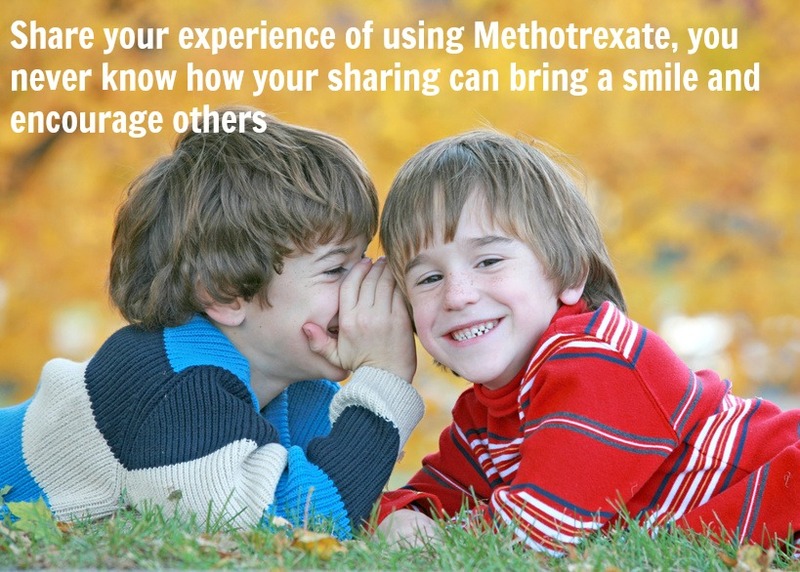 Methotrexate also lowers the activity of the immune system. It can be taken orally or by injection, and patient needs to follow the prescription carefully, especially the dosage or frequency (may be weekly for treatment of skin condition). The dosage prescribed will be determined by the doctor, usually for skin-related, it will be a low dosage, and dosage may vary during the course. It is important to follow-through with the prescription, and not terminate it once you self-assessed your condition has improved. Certain tests may be requested by your doctor, to assess the side effects of methotrexate, such as blood and liver tests. Check with your doctor how much fluid you need to be taking during the course as drinking more water can help to reduce toxicity in kidneys. If you are on non-steroidal anti-inflammatory medication such as aspirin, ibuprofen, choline magnesium or magnesium salicylate, do check with the doctor the safety of these medications as they can increase the level of methotrexate in the blood. Also check on medication such as acitretin, azathioprine, isotretinoin, sulfasalazine or tretinoin that may increase concentration of methotrexate in the blood or increase toxicity for certain body organs – liver, kidney and bone marrow (better to tell the doctor of drugs, medicines, supplements and vitamins you are taking). There is associated risk with liver damage, so do check on alcohol consumption. There may also be sensitivity to light, so take sun protection measures and avoid sunlight. Do not drive as a possible side effect is dizziness. Avoid contact with people who are ill, and also those who have taken a recent nasal flu vaccine or who has chickenpox (also check with the doctor before getting vaccinated) as methotrexate has mild immune suppressive effect. Also check on what sports you can engage in, to prevent cuts or injury. Wash your hands also to prevent infection. Chills, fever, rash, peeling skin, headache, mouth sores, vomiting, diarrhea, nausea, loss of appetite, hair loss, swollen gums, red eyes, sore throat, bleeding, bruising, paleness, difficulty breathing, excessive fatigue, yellowing of skin or eyes, seizures, fainting, difficulty with body movements, vision changes and painful urination. Symptoms such as diarrhea, black, tarry or bloody stools or bloody vomits may be related to damage to the lining of intestine due to Methotrexate. Do call your doctor immediately. Also, if you had stomach ulcers or previous medical conditions related to intestines, do inform your doctor. Refer here for which side effects are more common, and which are less. Folic acid may be prescribed as a supplement during the course, but this depends on your doctor as studies are not definitive in this area. Folic acid may in some ways reduce the effectiveness of methotrexate, thus may be prescribed on days when patient need not take methotrexate. 2. In a study of 42 patients, both methotrexate and azathioprine showed clinical improvement in eczema for adult patients in the short term. 3. In a study of 25 patients with paediatric discoid eczema, about 19 children showed improvement after 10.5 months. 4. In this study of 20 patients, methotrexate found to be effective, but there were also patients who dropped out from the study due to side effects. A point to note is above studies were small sample sizes (and I’ve found a few others of even smaller sizes), possibly due to methotrexate prescribed only for severe instances, which had not responded to corticosteroids or cyclosporine. Do share your experience in the comments! 2.5 mg then 3 doses of 12.5 mg then 10 mg as side effects too much. Thanks Tara for dropping by my blog and hope that your daughter won’t have side effects for this course she’s on. Will keep a lookout on other moms with daughters your age and help to ask if there’s any side effect in their case, take care! Hi Mei, thank you for having this blog. So, I’ve researched and researched online but there is no answer to my questions: 1) Do the skin clearing effects of Methotrexate last beyond taking the medication, or once it is discontinued, the eczema comes right back? 2) How long does Methotrexate need to be taken? My doctor recommends it, but if I’m going to run the risk of hair loss, fatigue, brain fog, and possible liver damage, I hope I’m getting permanent skin clearing as a result or else I don’t think it’s worth it. Thanks much. Hi Lala, thanks for dropping by my blog. As far as I’m aware, there’s no guarantee that skin will clear after methotrexate. From what I’ve heard, some require more courses while it didn’t work for others. The time to take is determined by the doctor, based on the skin severity and your health stats. If you’re worried, you may want to explore with another doctor and exhaust other options like finding the triggers, cleaning skin of staph, moisturizing (ensuring the ingredients do not irritate your skin via patch testing) and wet wrap. If doesn’t work and doctor recommend oral medication, then have to consult with an experienced doctor as there’s judgment involved in the prescription, monitoring and deciding the next course of action after one round of the oral medication. Hope all work out well for you soon! i have recently been started on methotrexate for severe eczema. Can anyone tell me what i should espects will it make it go away completely or will i still have it but milder. Alos i have only taken it twice but both days i felt very cold and also reqlly tired. In this a normal reaction nd if so does it improve aftertaking it longer. Thanks for dropping by KK and I’ve read that patients taking methotrexate have felt chills and fatigue.. is it possible to call back the doctor and pharmacy to ask if there’s a way to take it to reduce the effect (should it persist)? For instance, taking with food, drinking more water or separating the dosage into two within the same 24-hour period? Do ask your doctor before amending the instruction for prescription. As for the effect on eczema, it’s different for everyone though trials mainly showed an improvement, not a complete ‘cure’. It may also not work because it’s hard to tell how the skin will react to the medicine.. I suppose the ‘ideal’ is that it decreases the skin inflammation effectively, so that maintenance therapy like mild steroid and moisturizing can be used and hopefully no more oral medication course or high potency cream. My daughter is 7 and has been on methotrexate for a year. She did various other treatments including light therapy and this has been the only thing to help her. She was scratching until she bled daily and it interfered with so many activities she did. She was dealing with staph infection monthly. We are so greatful our dermatologist suggested this treatment. Thanks Nikki for the sharing 🙂 It is indeed heartening to finally find a treatment that works, for me, I’m glad a one-time oral corticosteroid course worked very well for my daughter. Take care!